A few extra pounds can be a real drag. Swapping out meals for a brief juice cleanse can support your weight loss efforts and even help zap food cravings. Choose the Cooler Cleanse that is right for you. Check our schedule for the start date that best suits you during checkout, and check availability. Place your order. For optimal results, plan a vegetarian diet for 1-3 days before starting your Cooler Cleanse. Book any treatments you may want, such as massages, during or right after your Cooler Cleanse. 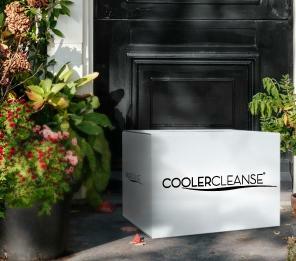 Receive your delivery of juices packed in ice the morning you begin your Cooler Cleanse. Refrigerate immediately to ensure the juices will remain potent for up to 3 days. Drink the 6 juices each day in place of solid food (roughly one every 2 hours). If you are doing the 3 or 5-day cleanse, you will receive a special pack of herbal tinctures to support your needs during the cleanse. Remember to include optional enhancement activities or treatments when possible as well. If you are doing the 5-day cleanse, you will recieve a second delivery of juices. After the final day of your cleanse, ease back into your diet with fresh, whole, unprocessed foods. Take some time to notice how certain foods and drinks consumed automatically before the cleanse make you feel now. Many people find this is a natural time to let go of some unhealthy habits.